Humans move organisms around all the time. Sometimes when we bring a non-native species of plant or animal into a new area, the species will take over and spread rapidly and widely throughout the area. 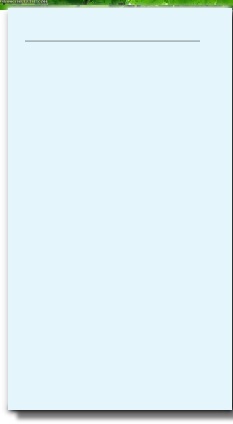 When this happens, the spread can cause major harm to the native ecosystem or humans. When non-native plants, animals, or pathogens rapidly takes over a new location and alter the ecosystem, we consider them invasive species. 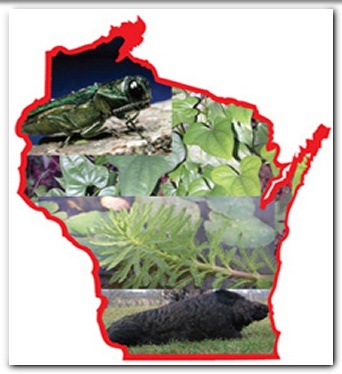 In 2009 Wisconsin established a comprehensive invasive species rule, ch. NR 40, Wis. Adm. Code, to regulate some of the most threatening invasive species. The Department's Invasive Species Team has worked with businesses and other partners to ensure voluntary compliance with the rule when feasible and stepped up enforcement when appropriate. As of June 30, 2013 a revised invasive species list has been recommended by the Council. 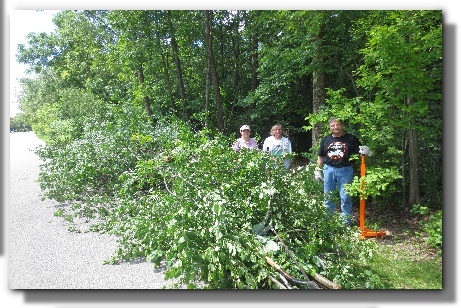 Locally, some of the Environmental Committee members teamed up recently to experience just what is needed to control an invasive. 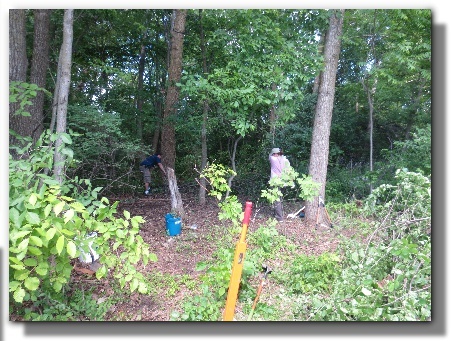 Our target was the Common and Glossy Buckthorn plants that have established a stronge hold over the parcel south of Schoetz Park. 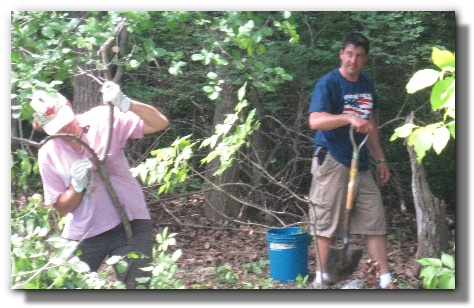 With the help of our Weed Wrenches, we were able to extract a considerable amount of plants from the area for disposal. 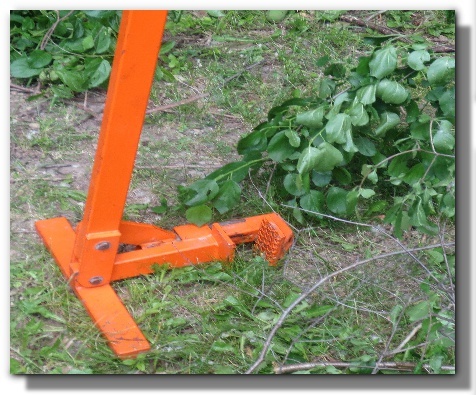 The Weed Wrench, pictured above, is a device specially designed to grab hold of the stalk of the invasive (buckthorn in this case) and extract the entire root from the ground with the help of a considerable amount of leverage.